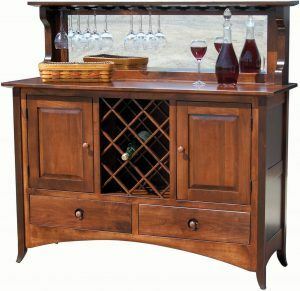 Make your home an even more delightful place to entertain friends and family with Wine Cabinet Furniture from Weaver Furniture Sales. 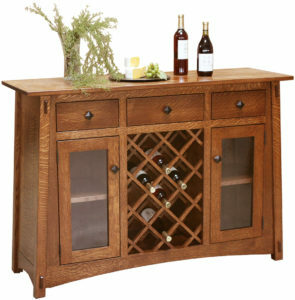 We have the full gamut of furniture for your wine collection. 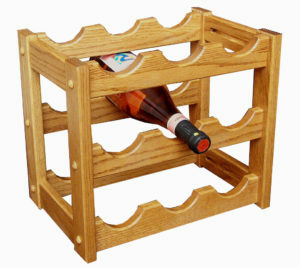 Looking for a basic wine rack? 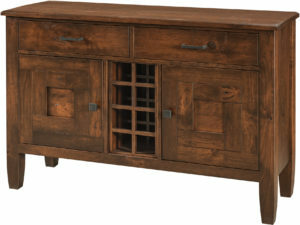 The Amish Solid Wood Wine Rack will fill the bill. 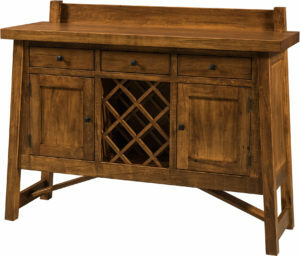 It stores nine bottles of wine. At the other end of the spectrum lies the incredible Shaker Hill Wine Buffet. It comes with a with large beveled mirror on the counter top. 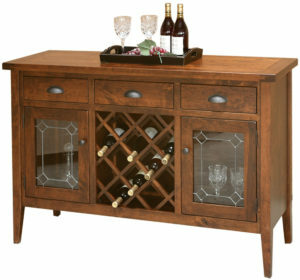 Plus a stemware rack and wine bottle rack in the center. 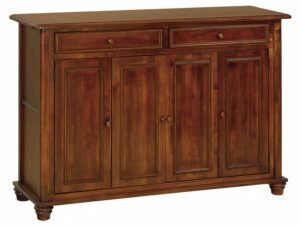 Also, you get lots of storage in the cupboards and drawers. 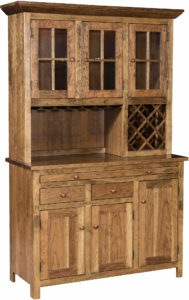 So browse our full selection of wood wine cabinets right here online. Also, we invite you to visit our ‘brick and mortar’ store in Shipshewana, Indiana. And when you do, bring this special offer with you. 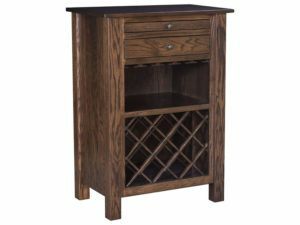 Almost as delightful as having your own personal wine collection is owning the right wine cabinet furniture to show it off. 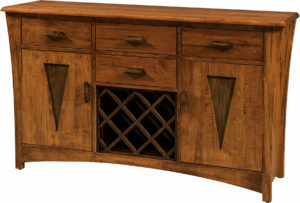 And this is why you need to check out the great selection of wine cabinets at Weaver Furniture Sales. 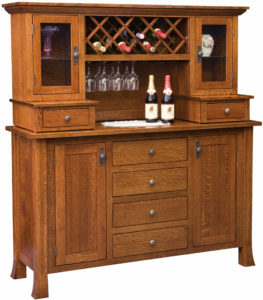 To be sure, you’ll be able to find the wine cabinet with the size and amenities you’re looking for. But here’s what you may not know. 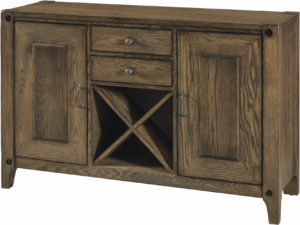 Our wine cabinets are incredibly sturdy. Skilled Amish artisans custom build each one. 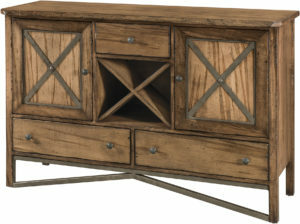 And the Amish men use quality regional hardwoods like oak, maple, cherry and hickory. 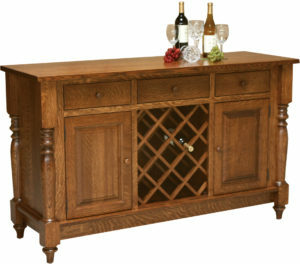 So, with proper care, the wine buffet you choose should last for generations to come. Cheers.